Radio Days - Family Times is an award-winning magazine with staff-written news, feature stories and artwork that inform and inspire Central New York parents and their children. Even though the students who run WBXL-FM 90.5 at Charles W. Baker High School in Baldwinsville snicker when they see the hairstyles, clothing and record albums of their predecessors, they still hold those teenagers from the eight-track era of radio in the highest regard. WTKW-FM 99.1 (TK99)’s Rick Deyulio, a man hailed as a walking encyclopedia of classic rock music, got his start at WBXL, as did Dave Fink, a business owner in Baldwinsville. And the student who started it all in 1974 by installing the first antenna, Mark Humphrey, pursued a career in radio engineering and still builds stations across the nation. Today, the station is 175 watts and reaches most of Onondaga County (about as far south and west as Marcellus) and the bottom half of Oswego County, which includes Fulton, but not the city of Oswego. 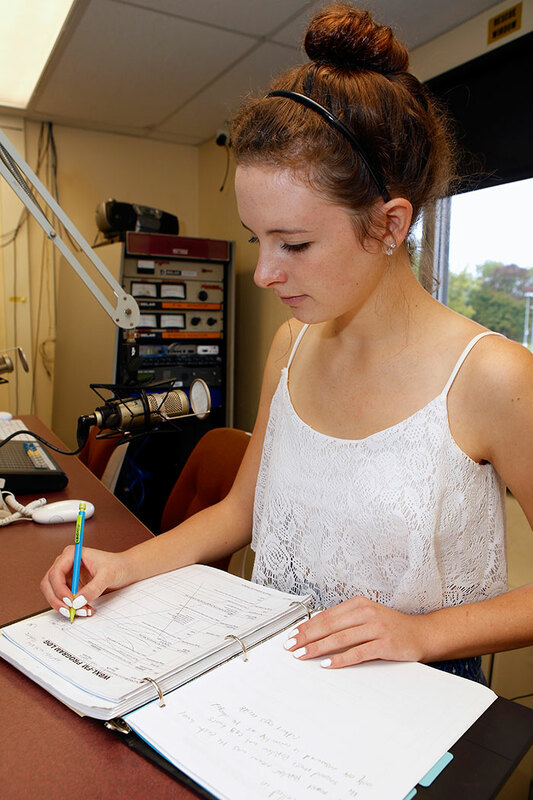 The broadcasting class is open to students in grades 10 through 12 and is the prerequisite for going on the air. 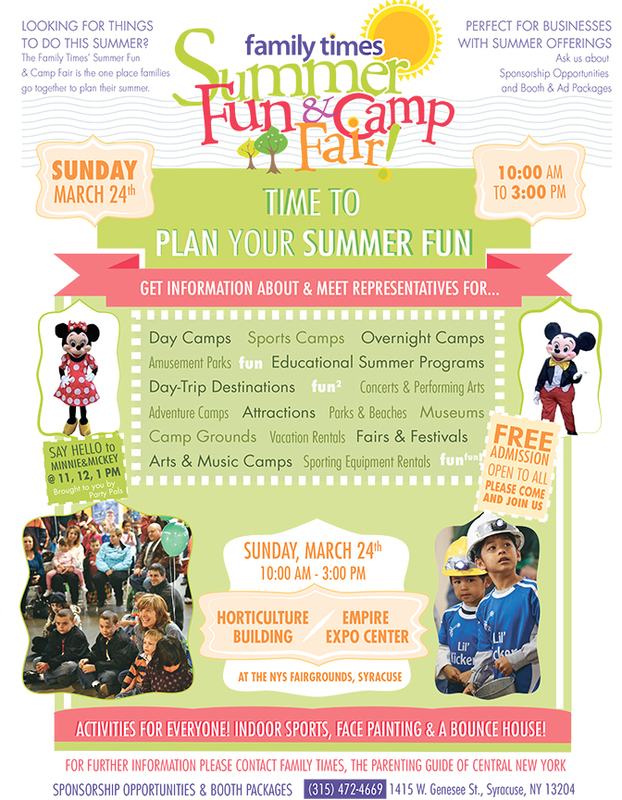 Students have shows during their free periods (lunch or study hall) or after school. They can also record shows using a computer program. All are required to provide a certain number of public service announcements during their airtime. The vinyl double albums of the 1970s are gone, but the station’s early principles have endured: fostering strong public speaking skills, thorough preparation, creativity, respect for the rules, and the desire to always do better. 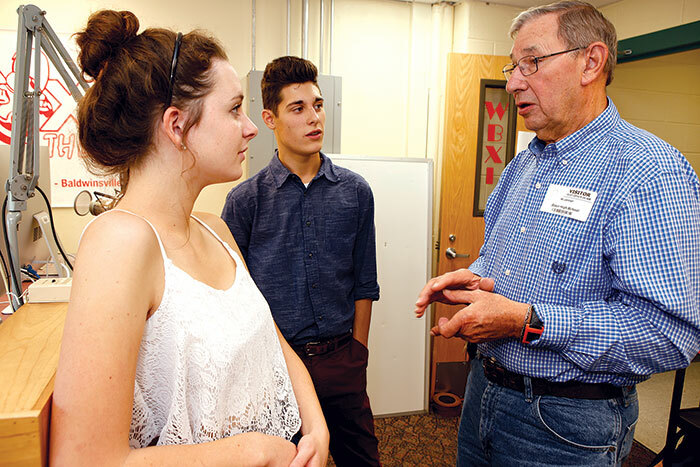 Station founder Al Jenner, a retired science teacher, says the station’s mission statement presented to the Board of Education 41 years ago—“to become the delivery system for the ‘products’ of the school”—has not changed. “The example I always give is, How can I demonstrate what I’ve learned in my physics class to my radio audience and keep them listening for more and more?” Jenner says. There is no single answer to that question, he adds, although it starts with fully understanding what you’re talking about. You can even apply physics to explain the dimensions and placement of a radio tower and the movements of sound waves. A live or recorded broadcast can be a working lab for any subject area, but it takes sharp presentation skills to hold the listeners’ attention. As a child, Jenner wanted to become a radio personality. In the 1960s, he faithfully tuned in every Sunday to WNDR-AM 1260 for disc jockey “Dandy” Dan Leonard’s show from the Teen Canteen, which was broadcast from the Three Rivers Inn nightclub in Phoenix. Leonard’s fast-paced delivery emphasized his energy and wit. Although Jenner worked full time as a science teacher in the Baldwinsville district, he maintained a radio broadcast engineering license and continued to work part time for WSEN-FM 92.1 as an engineer and disc jockey. In 1974, the Board of Education gave Jenner and Humphrey permission and $300 to establish a 10-watt station at the high school. They bought some used transmitter equipment and set up shop on the top floor. Federal standards for licensing were much stricter at that time, so the teacher and student both needed to obtain additional credentials from the Federal Communications Commission. They visited WGMC at Greece Central School District’s Athena High School in suburban Rochester, borrowing some, but not all, of that station’s operations model. A WBXL radio club was established and the station gradually increased its wattage. Jenner was hired to teach a radio broadcasting class at the high school. A few years into his tenure, Jenner also learned about the political end of the broadcast business. WRVO-FM 89.9, the National Public Radio affiliate in Oswego, initially blocked his request for additional wattage, but then signed off on it when the two stations learned that they would have to work together to stop a potential new station from broadcasting in their vicinity. Jenner’s class familiarized students with the rules and regulations they needed to know before they could go on air. Students also had to be able to prepare for their show. Under FCC regulations, there cannot be more than 35 hours per week of dead air. But the station’s requirements are much more stringent, with 24 hours of programming per day, although much of that is recorded and many programs are reruns. WBXL is not allowed to have a format, Mizer says, because that would present competition to the commercial stations. With this arrangement, one show might feature Led Zeppelin, with the next deejay playing classical cellist Yo-Yo Ma. “The kids say we have the most variety on the FM dial,” Mizer says. The station has empowered creativity. One student has a show about computer gaming, while another plays pieces from the school’s marching band and discusses the nuances of those arrangements. One of the co-managers had a show about “human stupidity.” The other manager had a decade-themed show, during which she and a co-host would play music from the 1970s or 1980s and also talk about the toys, television shows and fashion styles from those eras. Rick Deyulio, the deejay at TK99, had a theater-of-the-mind “time machine” show with sound effects and different characters. Thanks to online technology, the station can also broadcast live high school basketball games, which was not possible in the station’s early years. Unlike their predecessors, however, the students cannot do weekend shows, mainly because of supervisory and liability concerns, Mizer says. 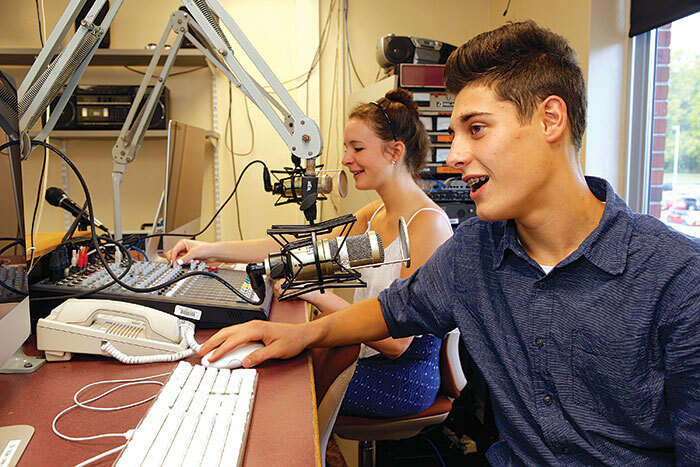 On-air jocks have to master other skills, too, including playing music that their daytime radio audience—adults—would enjoy, even if it doesn’t appeal to fellow teens. Disciplinary actions are rare. Two decades ago, during a holiday break marathon in which alumni helped staff the station to keep it continually running, Jenner turned on his radio late one night to hear two of his former students making fun of the station’s equipment and bad-mouthing some of the music. He immediately drove to the school, removed them from the building and remained on air until the next deejays came in at 6 a.m. Mizer, who is in his fourth year as the station adviser, has only had to revoke on-air privileges for a handful of students. A major responsibility for the radio station adviser today is monitoring the playlists. The jockeys cannot bring their own music in. The station is required to use music from subscription-based services that cover the licensing rights of the artists. To police this, Mizer relies on peer pressure and two student managers—“my eyes and ears”—to make sure the rules are followed. Stacy Edwards, the senior manager, took Mizer’s radio class as a sophomore and had her own time slot (the decade-themed show) last year. She never imagined that she could develop the ability to improve and think on her feet so quickly. As a manager, she enjoys the leadership and teaching responsibilities. Edwards is also the president of the school’s volunteer-based TEA Club. Peter Holden-Betts, the station’s junior manager, likes to solve problems, such as finding ways to fill time slots or troubleshooting equipment malfunctions. He co-hosted the show about human stupidity and hopes to become a television game show host some day. He remembers his first time on air as somewhat awkward. “This station is the best decision I ever made in my life,” Holden-Betts says. WBXL alum Phil Nagy, who graduated in 1981, said the opportunity to tinker with electronics is what inspired him to first get involved with the station back in 1979. He pursued a career in computers and currently works for Hewlett-Packard. His son, Alex, served as the station manager before graduating in 2011. Nagy pointed out that while he and his peers loved to rock the airwaves, they also broadcast Board of Education meetings and memorial services for beloved former employees of the district. That aspect of community service was important. He still has reel-to-reel recordings of some old shows. Mizer, who teaches, besides broadcasting, five technology classes at the high school, says watching kids excel in public speaking has been the most rewarding part of his role. Back in his time as adviser, Jenner had a variety of techniques, tricks and tests for preparing students. On the first day of class, the kids give a one-minute formal introduction of themselves to the group. A few weeks into the semester, he helped conquer one student’s stage fright by having her stand behind a movie screen when she talked. The students worked in teams to present and evaluate manuscripts for news, sports and entertainment. They were required to enunciate all words correctly, and if they didn’t, their peers would mimic a buzzer sound to alert them of their mistake.